Ruddick Garden Gifts offers you this fantastic set which is not only perfect for summertime but is perfect for parties too. 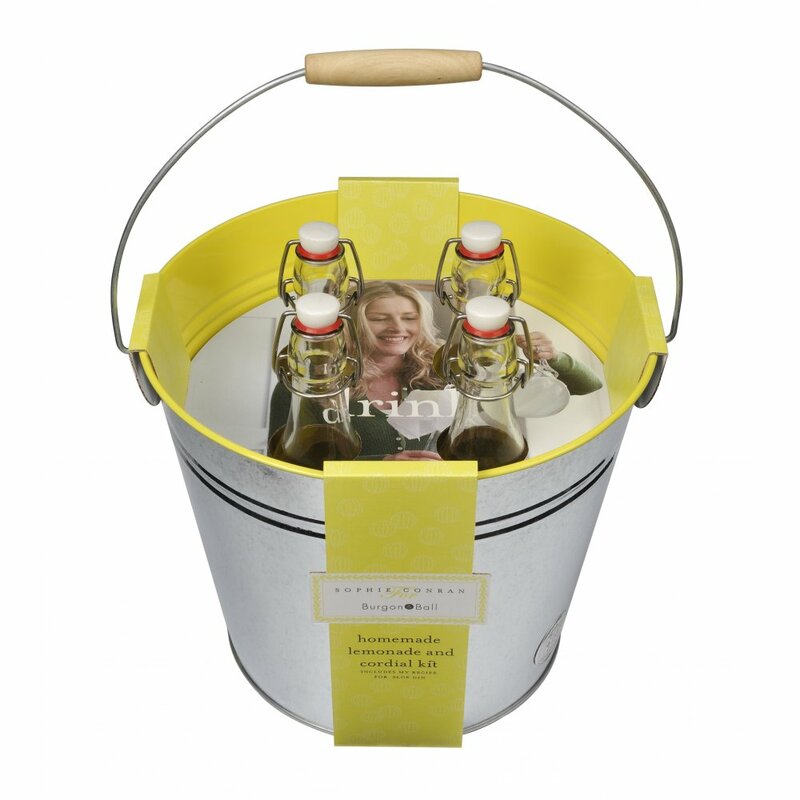 Created by the designer Sophie Conran, the drinks bucket set contains all the essentials for creating your own lemonade and cordials. 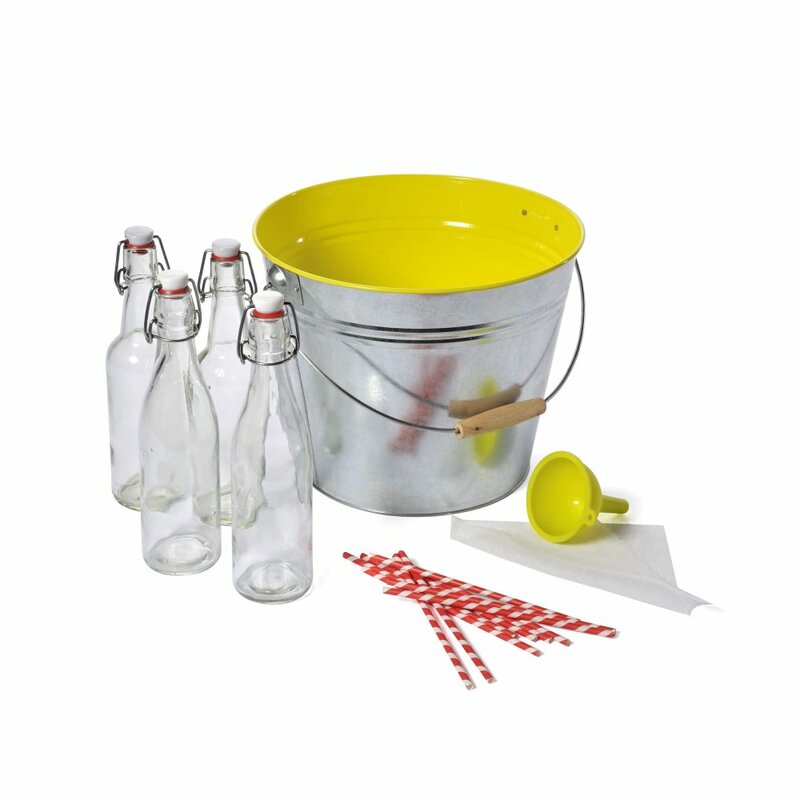 The kit is made up with a recipe booklet (including Sophie's own recipe for Sip Me Sloe Gin), a muslin square for straining, a silicon funnel, 4 glass bottles with ceramic flip top lids, traditional straws all put together in a metal ice bucket. Brilliant fun for you and your family!